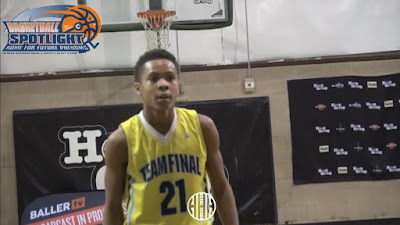 BASKETBALL SPOTLIGHT NEWS: Clash For The Cup Highlights: Dajuan Wagner Jr. Shows His Skills! Clash For The Cup Highlights: Dajuan Wagner Jr. Shows His Skills! Dajuan Wagner Jr. showed supreme scoring prowess at the Clash For The Cup. Check out highlights from his game against Riverside Hawks. Stay tuned as Basketball Spotlight brings you more footage and recaps from the Clash For The Cup.